Yogurt parfaits are such an easy recipe to make, which means less time in the kitchen and more time enjoying! 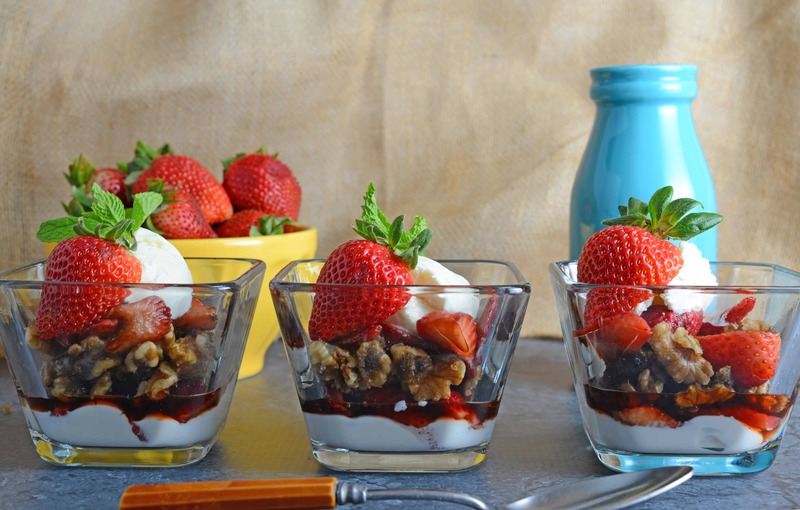 In 20 minutes or less you will have a delicious Balsamic Strawberry Parfait in front of you. These fruit parfaits will be a hit at any get together! 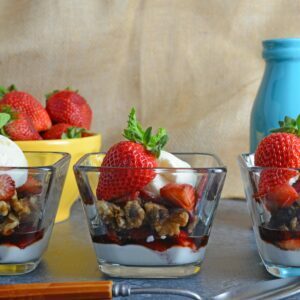 Balsamic Strawberry Parfaits makes for an easy dessert recipe with layers of ice cream, yogurt-whipped cream, macerated strawberries and candied walnuts! Balsamic Strawberry Parfaits were developed after I realized I lacked 2 main ingredients to a previously planned dessert. 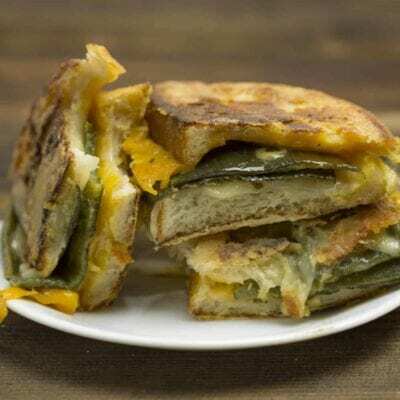 I needed to work with what I had, so I added together four pieces that I had used separately in different recipes. I was thrilled with what I got with the outcome. It was great to be able to take ingredients I had and create them into something like this! Some fruit, yogurt, ice cream, and nuts all mixed together to create something mouth-watering. I especially love the salty, sweet, crunchy and smooth all combined. 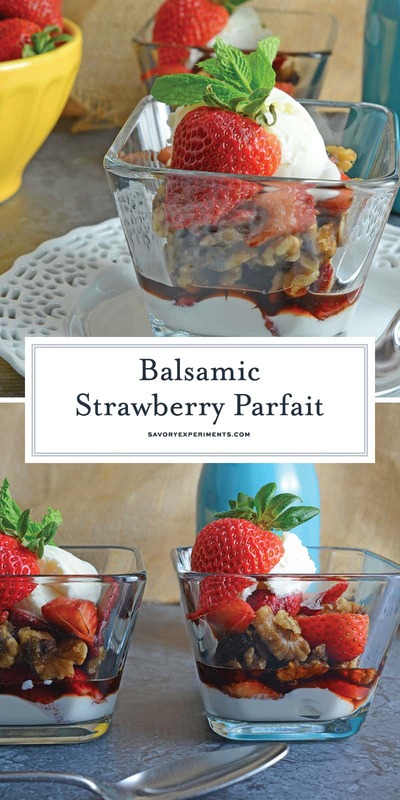 I’ve made Balsamic Strawberry Parfaits numerous times since. 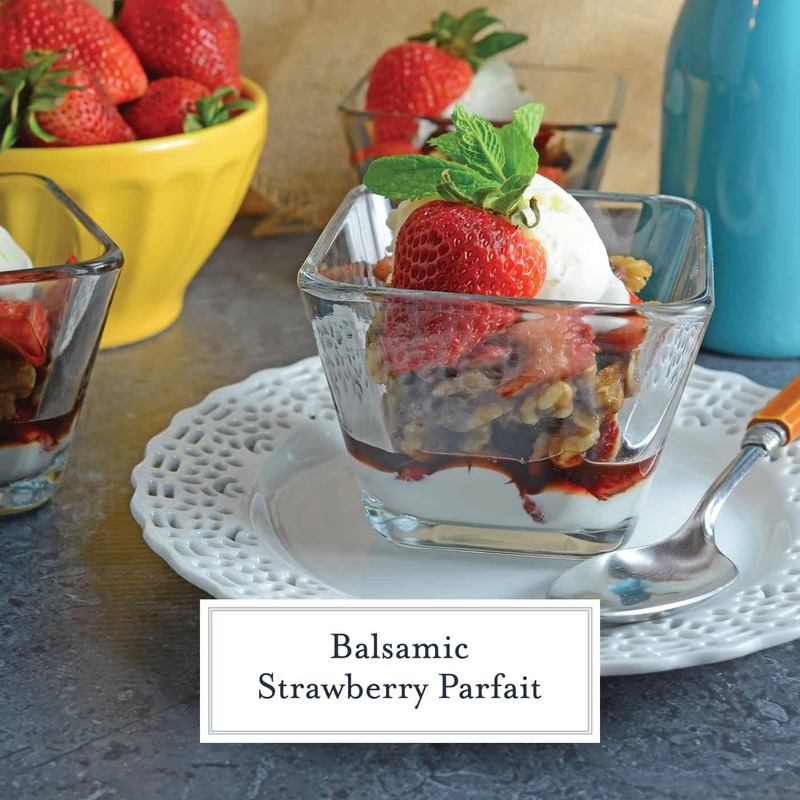 Balsamic Vinegar really pairs nicely with strawberries to bring out their natural flavors. Everyone assumes balsamic vinegar has to be paired with something savory, but you’d be surprised with how amazing it is in this recipe. Parfaits are so easy. They can be assembled fast after dinner and everyone loves having their own little cup. You could even have a fruit parfait bar set up where everyone can make their own. Imagine how fun that would be! 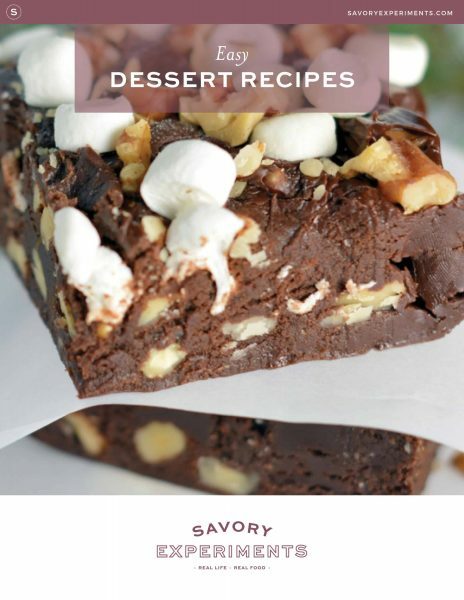 Another great thing about this recipe is that since it is on the lighter side, it hits the spot with just the right amount of dessert when you need it! 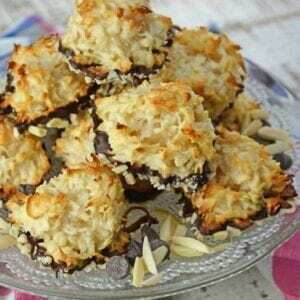 Not overly filling but just the perfect amount of sweetness you need to fulfill your cravings! Strawberry Huller– I never thought I needed one until I got one. Now I can’t love without it. 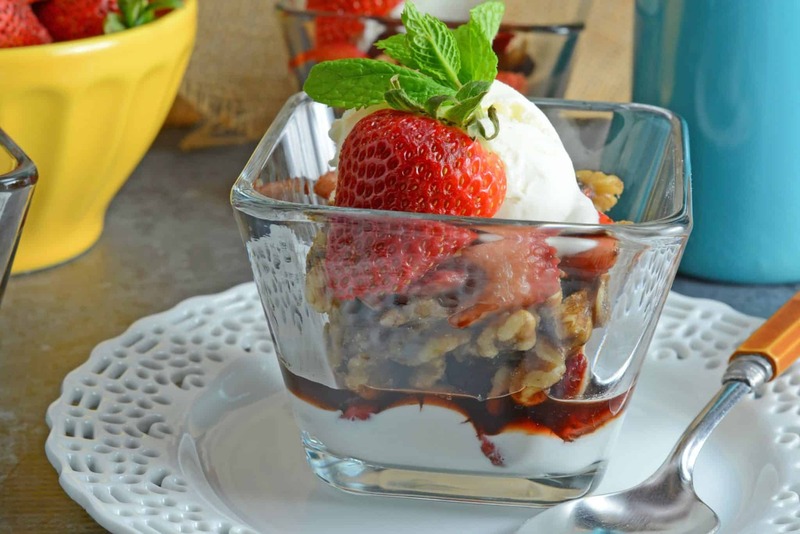 Balsamic Strawberry Parfait- Easy dessert recipe with layers of ice cream, yogurt-whipped cream mix, macerated strawberries and candied walnuts. 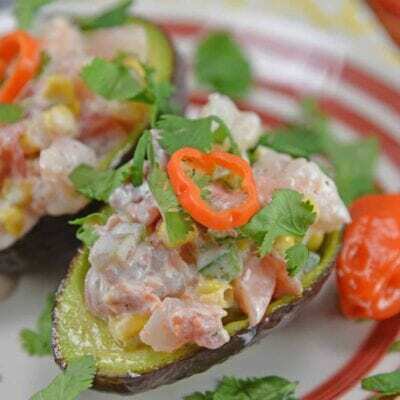 Perfect for feeding a crowd or dinner parties! Combine strawberries, balsamic vinegar and brown sugar in a small bowl and mix. 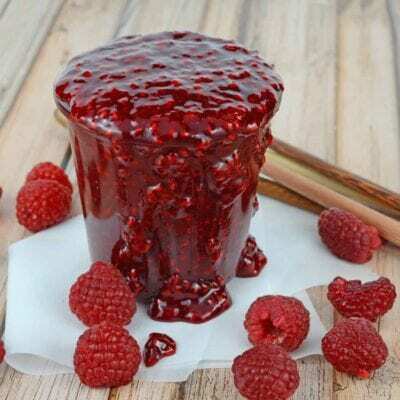 Allow to sit at room temperature until sugar has fully dissolved, approximately 15 minutes. In another small bowl mix together yogurt and whipped topping. Keep chilled until right before serving. Place 1- 1 ½ scoops of vanilla frozen yogurt in each dish. Top with ¼ cup strawberries. Divide walnuts evenly over dishes. Finish with fruit frosting. Serve immediately to avoid melting. Strawberry’s and balsamic are such an amazing combination… Great for a party! They really are. 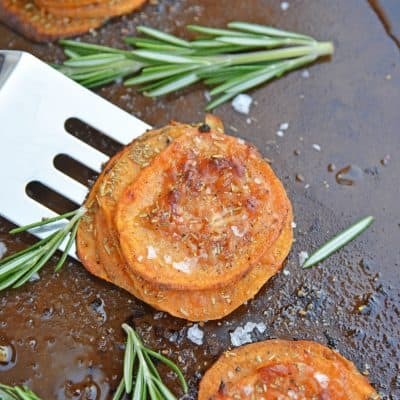 They are perfect for dinner parties. Use plastic cups for a large party and easy clean up. Yum, Yum, Yum! This dessert looks delicious. I would never have thought to add balsamicMirlene vinegar to any parfait. Balsamic reductions are sweet and acidic, making them perfect for desserts. I even pour some over plain vanilla ice cream. Balsamic and strawberries are such an amazing combination. I love the idea of putting it in a parfait. I love that you added balsamic vinegar. I bet it compliments the berries perfectly! I love the whole sweet and tangy you have going on here! It was really an inspired vision you had to combine all of these ingredients! Balsamic is so good with strawberries! Well done! !